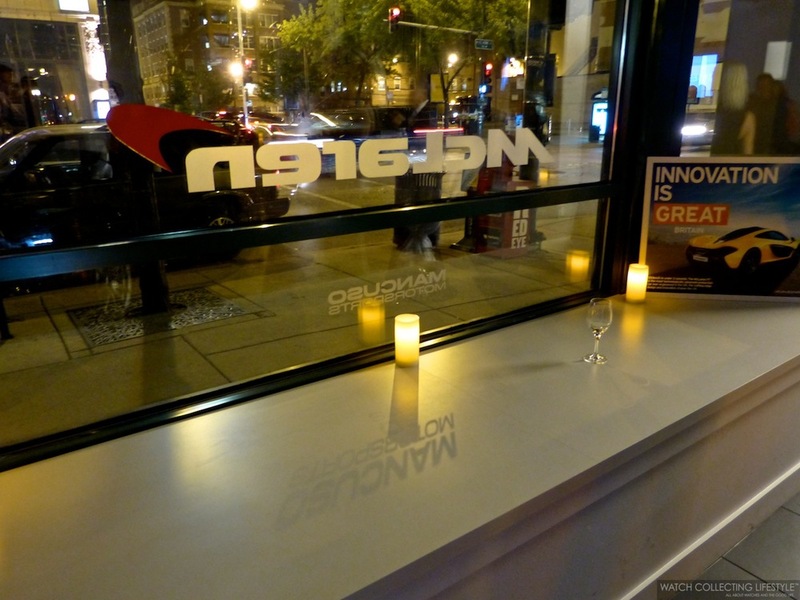 Experience: McLaren Chicago Grand Opening Party. 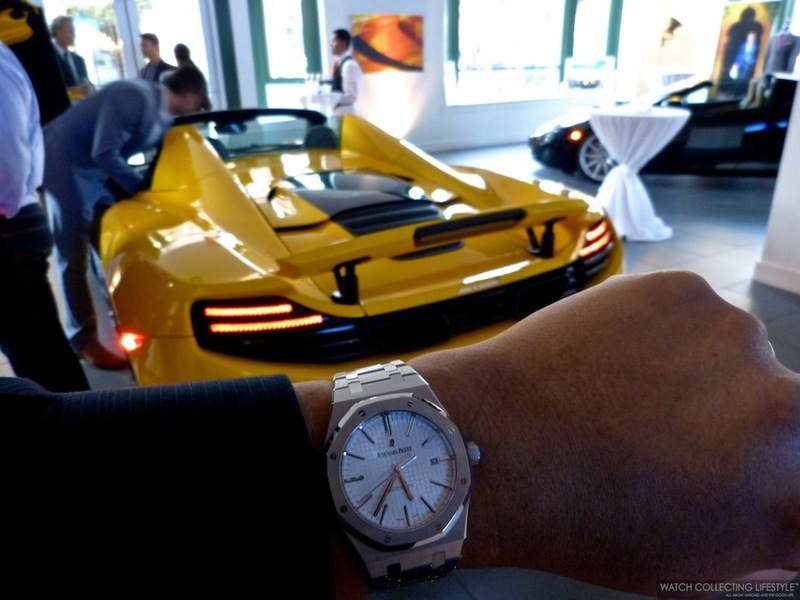 An Evening of Exotic Cars and Watches. 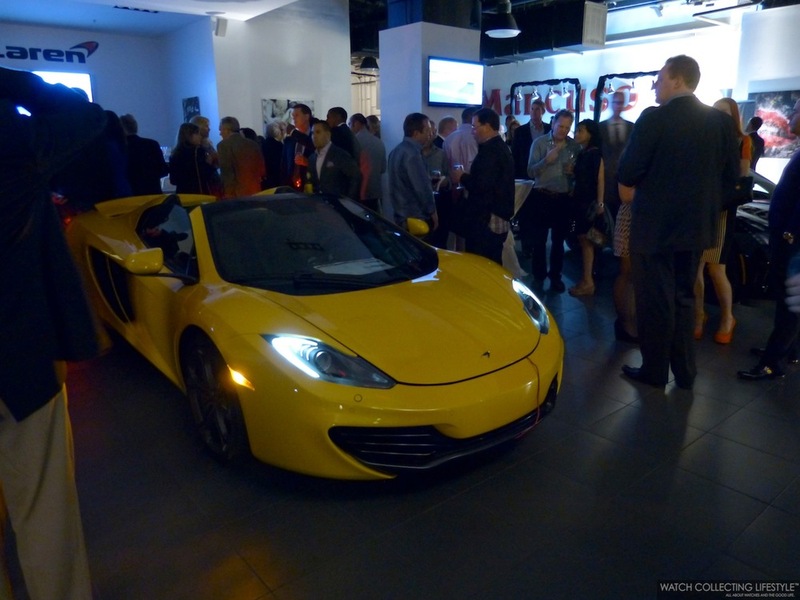 Last Thursday October 10, 2013 we were invited to an exclusive party at the new McLaren dealership here in Chicago. 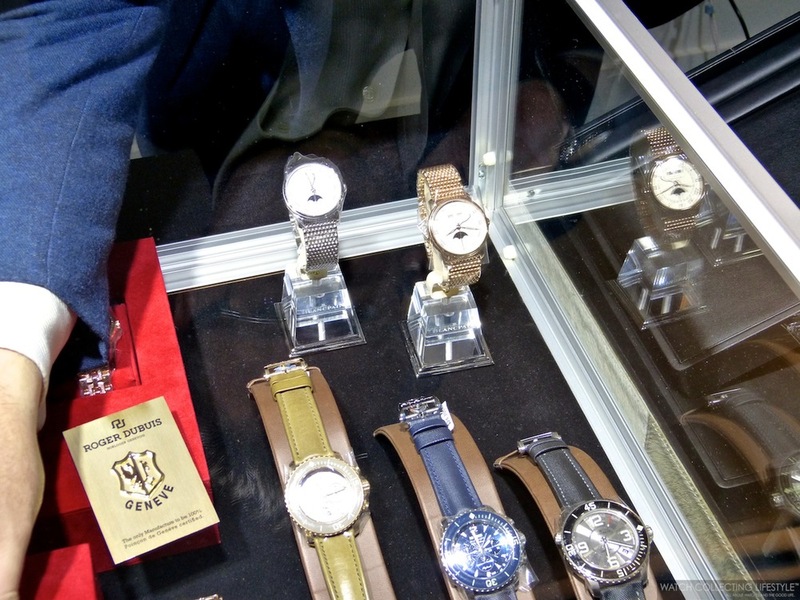 We were pleasantly surprised to see our friends from Geneva Seal at the event with a nice assortment of timepieces on display. 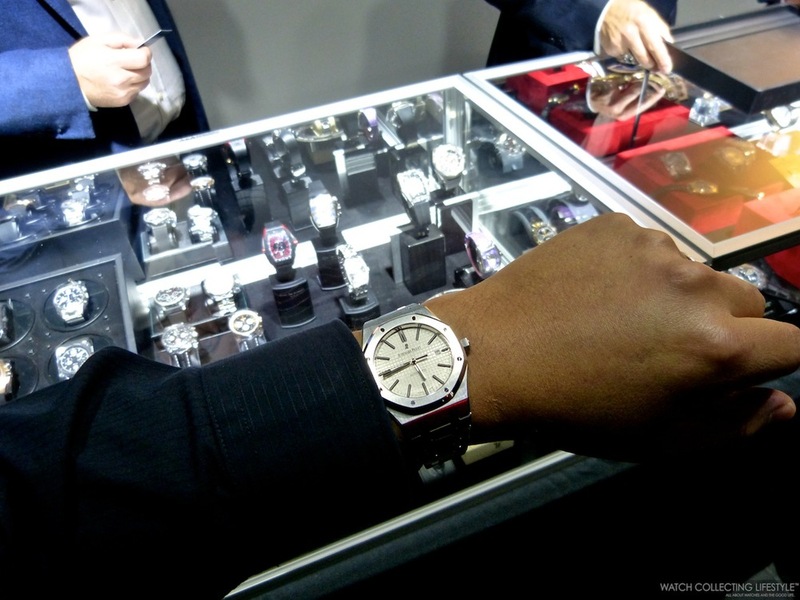 Their showcases included timepieces from Bell & Ross, Urwerk, Custos, Franck Muller, Richard Mille, Audemars Piguet, Blancpain and Roger Dubuis amongst others. Some of the timepieces on display that caught our attention include a Roger Dubuis Double Tourbillon, an iced out Audemars Piguet Royal Oak Offshore, an Urwerk UR-103 and a Richard Mille RM016. A great selection of Blancpain timepieces was also being displayed. Our host Rob Mancuso —owner of McLaren Chicago DBA Mancuso Motorsports— was nothing but great and he made sure everyone had a fantastic time. Rob is an institution when it comes to exotic cars in Chicago and the Midwest region of the U.S. In addition to this fascinating McLaren dealership, the Mancusos are also owners of LFSC Motorsports —Lake Forest Sportscars— a must see dealership when it comes to racing cars, Aston Martins, Maseratis, Ferraris, Lotus, Bentleys and other fancies that you can think of. 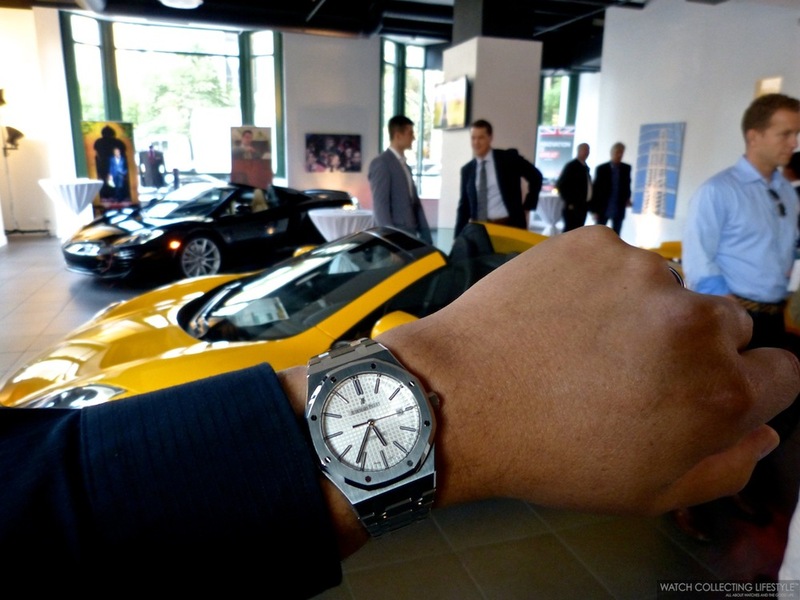 In summary, this was a fascinating evening filled with watchlifestylers, good wine and food and two of our favorite things in the world in the same place, watches and cars. Could we've asked for anything more? For more info on McLaren Chicago click here and for Lake Forest SportsCars here. Posted on October 13, 2013 by Editor & Publisher and filed under Automobiles, Events and tagged Mancuso McLaren Chicago Downtown McLaren Chicago Geneva Seal Richard Mille RM016 Custos Franck Muller Urwerk UR-103 Blancpain Bell & Ross.